Contemporary railway fixed signals and indicators utilized by Polish Railways. order shields of signal repeaters. Indicators in form of lamps and lanterns are covered in separate model. Indicators construction blueprints (all above materials acquired via http://kolej.krb.com.pl/). The typeface BN-67.9010-03 by Emil Wojtacki was used in this model. Some lines have other signs. for example the word ‘whistle’ underneath a triangle with an exclamation mark in it is sometimes used on mineral railways. Semaphore signal (1:25)Color model | 1:25. Railway light signal of Polish Railways (1:25)Color model | 1:25. Railway signs of Polish Railways (1:25)Color model | 1:25. Railway light signals of Polish Railways (H0)Color model | H0 (1:87). 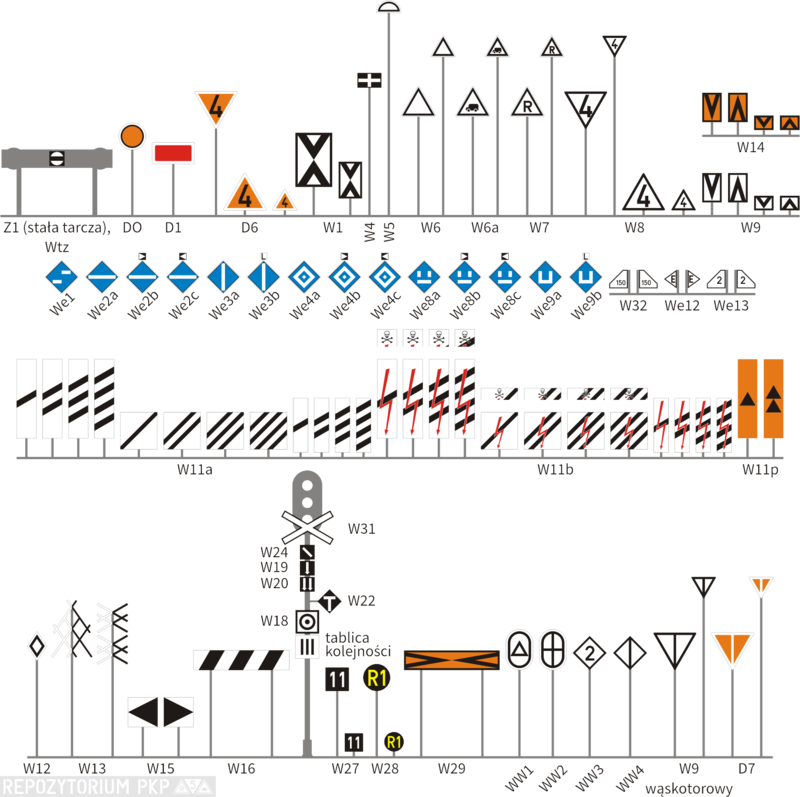 Railway signs of Polish Railways (H0)Color model | H0 (1:87).